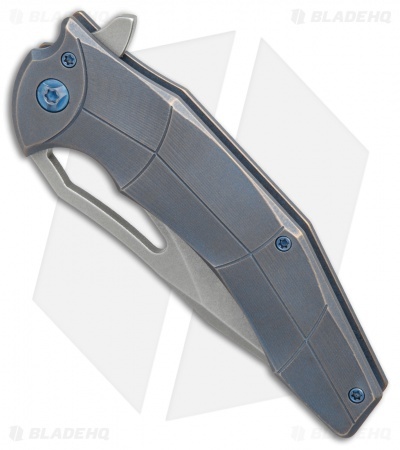 This FerKo Spinner knife features a Facets patterned titanium frame lock handle in a blue anodized finish with blued hardware and pocket clip. 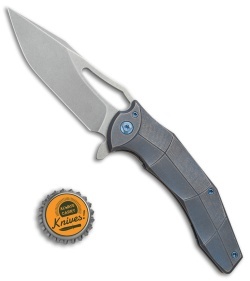 It has a CPM-20CV steel blade with a stonewash finish and flipper opener. The Spinner knife is the third collaboration between Ferrum Forge and Gavko. 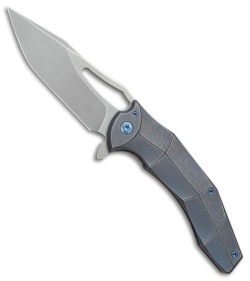 This exceptional folding knife features Gavko's unique style paired with precision manufacturing from FFKW. 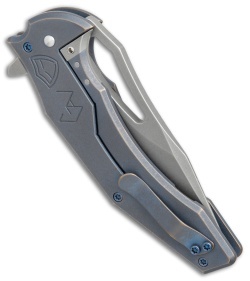 It employs many of the features standard on other models, including a steel lock insert with internal overtravel arrestor, H.R.D. (Hoback Rolling Detent), and caged thrust bearings.